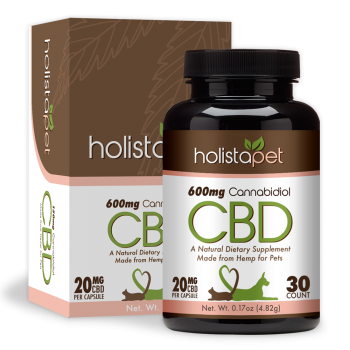 HolistaPet – The Best CBD For Cats Hands Down. Our CBD For Cats is made in Colorado, USA! All of our raw ingredients are natural and organically grown. We use what the industry refers to as “Full Spectrum CBD” in our products. This means that our CBD has a wide range of cannabinoids and terpenes included – CBD as well as CBG, CBN, CBC. Full spectrum CBD is known to have a stronger effect then isolates (CBD only products). With full spectrum oil, other cannabinoids work together complimenting each other to strengthen the CBD’s effect. 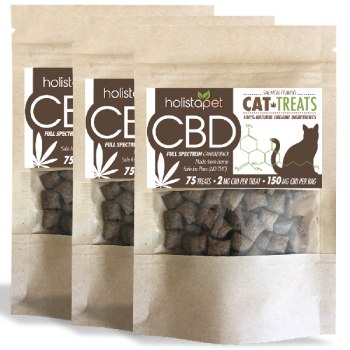 Please take a second and check out our full line of natural CBD cat treats, CBD cat drops, and CBD cat pills. Our CBD made for cats is originally made by hemp farmers in the cannabis-friendly state of Colorado. We pride ourselves on the quality of our products and want to be leaders in the industry. This means that we will always strive to have a consistent quality product available to our customers. Take a look at some of our reviews from real customers to see what other people are saying about their experiences with HolistaPet. What Is CBD And How Does It Work With My Cat? 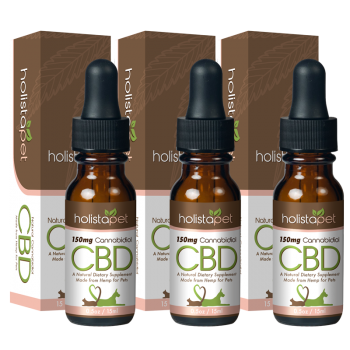 Cannabidiol (CBD) is one of the most widely used compounds found in the hemp plant. Hemp has many known chemical compounds but CBD is found to have many of the beneficial properties like marihuana but without the psychoactive “high” effect. It’s like smoking marijuana for its medical benefits but never getting high from it! This is why in the last few years CBD has been gaining a ton of attention from everyone including the government, pro athletes, the veterinarian field and most importantly the regular consumer. CBD works by activating your cat’s endocannabinoid system. This is the inner system that is involved in regulating many of your cat’s cognitive processes like mood, appetite, pain, and memory to name a few. Tons of clinical research is currently underway by scientist many of which are government sponsors. They are currently studying the compound for its potential treatment for a large range of conditions including arthritis, epilepsy, chronic pain, diabetes, inflammation and other neurological disorders. Also, it’s anti-cancer properties are currently being investigated as well. CBD has been proven to be safe and effective even in very large doses. Overdosing of CBD is not possible. Is CBD Safe For My Cat? Yes! CBD is a natural compound of the hemp plant and is very safe to use. There have been no known reports or studies of any negative effects of using CBD with your cat. It has been reported that CBD can be used in conjunction with other medications and have no negative side effects. Please consult your veterinarian before mixing any drugs. We guarantee that our products have the best CBD for cats online our your money back! 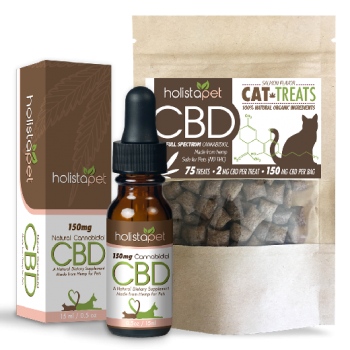 CBD For Cats Dosage – How Much CBD Should I Give My Cat? 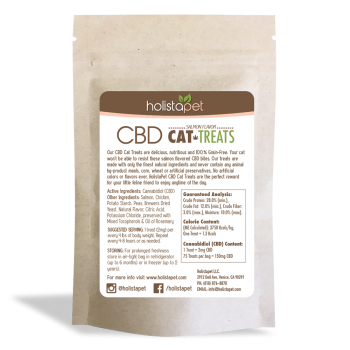 We recommend for adult cats 8-10lbs to have a general dose of 4-5 milligrams of CBD Oil or 2 of our CBD cat treats (2mg in each treat X 2 = 4mg of CBD total). This can easily be divided into 2 servings – 1 treat in the morning and 1 treat at night. 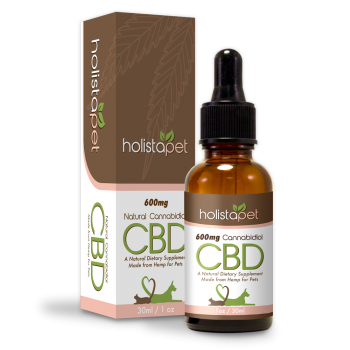 Our CBD pet tinctures are easy to administer to your pet. Put drops directly in your pet’s mouth or in their food/water. No mess and no hassle. There is mounting evidence that CBD can mitigate some of the symptoms of cancer such as nausea, loss of appetite, fatigue, and pain. It can be used to help relieve the symptoms of chemotherapy as well. CBD also has also been studied as an anti-cancer drug by our government and many other sources. In recent studies, it was discovered that cannabidiol (CBD) is a potent inhibitor of breast cancer cell proliferation, metastasis, and tumor growth. Please refer to our full guide to cancers and tumors for more info on CBD and cancer. Are you using CBD for cat seizures? Seizures in cats occur due to many reasons including liver disorders, brain damage, brain disorders, toxic ingestion, medications, blood oxygen levels and abnormal glucose levels. It’s important to familiarize yourself with the cause so you can eliminate the source before trying to administer CBD or any other medication. CBD has been found to be a great nontoxic form of treatment for seizures and epilepsy. It has been reported to contain anticonvulsant and antiepileptic properties. According to this study of cannabidiol in dogs, it was found that CBD can help to reduce convulsant and epileptic symptoms. Since then many people have been using CBD to help manage their pet’s neurological disorders. Today Cannabidiol is commonly being used as a safe alternative to phenobarbital and phenytoin. More people are using CBD with their pets because is safe, effective and has little to no side effects. This is a big advantage for pet owners because other seizure medications like phenobarbital and phenytoin will come with very harsh side effects. Many people have been using CBD for cat anxiety with great results. There have been multiple scientific studies showing the positive effects that CBD has on anxiety reduction. Your cat can have anxiety in response to a number of reasons. Some of the common reasons that cause anxiety in cats are thunderstorms, loud noises from sirens or fireworks, new people, or being left alone for a period of time. 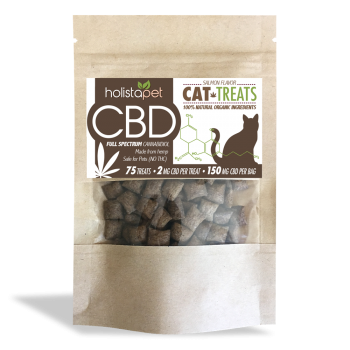 Here at HolistaPet, we pride ourselves on having the best CBD for feline anxiety. Our Vet approved CBD works fast to help reduce anxiety symptoms and eases the overall stress that your cat might experience as a result of one or more of the causes listed above. Are you looking for verified customer CBD for cats reviews? At HolistPet we are proud to have such a high approval rating. We strive to get great feedback from our customers. Our product testimonials are always submitted from verified buyers who have tested and used our products. We want every customer to have a positive overall outlook on our brand. We hope that you have the best experience so they can share your story with other customers. We feel that if our customers can verify that our products have worked for them then this will entice others to make a purchase as well. If you want to share your story about how our cat CBD products may have helped you in any way, please write to us by using our contact form. Also if you are looking for the best CBD cat products and you want to review our products on your site or blog, please contact us and let us know. We would love to work with you to get our products reviewed by real pet lovers like ourselves!